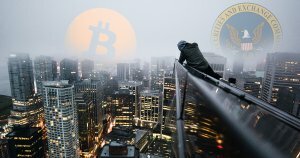 Securities Exchange Commission Chair Jay Clayton is reluctant to add digital currency ETFs, including Bitcoin ETFs, over fears of market manipulation, centralization, and custody security. This sentiment is not isolated to those in the SEC. It is a common thread among cryptocurrency enthusiasts that ‘whales,’ or large volume market participants, are actively using trades to manipulate prices. And, there is some evidence to suggest such manipulation, for example, Tether’s potential illicit activity in the market. In addition to these concerns, Clayton underlines that existing ETFs are not at risk of “theft or disappearance,” indicating that Bitcoin and other digital currencies are not as secure as other traditional assets. And, in light of the number of high profile hacks, he may be right. So far the SEC has rejected several proposals to include Bitcoin and other cryptocurrency ETFs, including a bid from high-profile crypto venture capitalists the Winklevoss twins. However, Clayton’s skepticism is not surprising and mirrors the overall reluctance of the SEC on the topic. His statement comes after the SEC ramps enforcement actions against cryptocurrency projects, including its first civil penalties against two successful ICOs: ParagonCoin and AirFox. That said, all other cryptocurrencies, by extension, may be securities by the SEC’s definition—until stated otherwise. Those who do not register their tokens as a security are subject to penalties ranging from hefty fines to the outright return of investor funds (rescission). Not only that, in addition to the SEC, states are also ramping up enforcement actions in their local jurisdictions. When pressed on the security status of Ripple (XRP) Clayton declined to answer. In the short term, this certainly doesn’t help the market downturn. But, in the long run, the SEC may consider integrating cryptocurrencies, ETFs, and other securities into the broader market once better oversight is established and regulations are stress-tested. Until then, the market will need to find another avenue of reprieve. The post SEC Chair Jay Clayton: No Bitcoin ETFs Until There Is Greater Oversight; “Assume Your ICO is a Security” appeared first on CryptoSlate.